What's in a name? In 2015, uchodźca — refugee — was the most commonly used word in the Polish dictionary. Dominating media reports, the language employed around the figure of the refugee has come to symbolise a prevailing fear of outsiders amongst Polish society, mirroring an increasing xenophobia visible across Europe in an era of mass migration. Such a classification of people as refugees often serves as a tool of discrimination, becoming a site of linguistic struggle over identity and subjectivity. In Hannah Arendt’s 1943 essay We Refugees, she writes: “In the first place, we don’t like to be called “refugees”. We call each other “newcomers””. 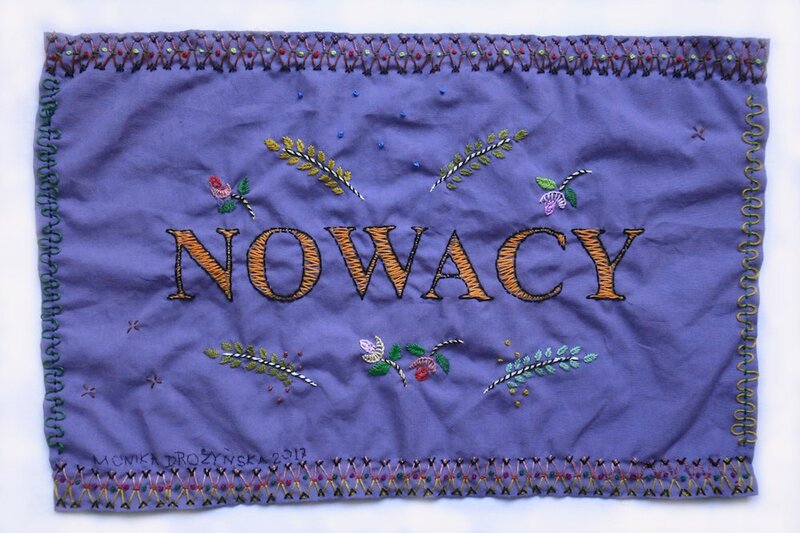 The work of artist and activist Jana Shostak takes up this question of the power of language as representation through a simple premise: to replace the Polish word uchodźca with nowak — newcomer. Originally from Belarus, now studying in Poznań and based between Warsaw and Rotterdam, Jana’s work comes from her own experience of being a newcomer. Her project began during her MA studies at the Mirosław Bałka Studio of Spatial Activities in Warsaw, when she began to illegally enter refugee camps in order to speak to those living there about their position in Polish society. One camp mostly housed refugees from Chechnya and Ukraine; another from Congo and Nigeria. Over the course of several months, Jana had many conversations with people who spoke of the barriers to integration. One conversation stayed with her: a 15 year old boy from Chechnya described his resignation to a future in which, even if he and his family were financially secure, he would not be able to change the prejudices they faced in society through their status as outsiders. Only by moving beyond his identity as a refugee did he feel that his situation could change. This experience led Jana to begin her long term project nowacy (the plural of nowak), a mission which has taken her from art school graduate to national television. Often facing fierce opposition, she continues to work towards breaking down barriers in language and meaning that she sees as so central to the issues facing refugees in Poland today. Her artistic practice is grounded in an understanding of the power of language: she sees her work as a form of “hacking”, in which she exploits loopholes in the system that can be used to undermine and subvert it. As the project has developed, this has often involved employing mass media and interventions in both public discourse and public space, making visible major prejudices at the heart of Polish society. But nowacy doesn’t just aim to draw attention to the issue. After the initial impetus, Jana undertook research into the term “refugee” across different languages, seeking to uncover a shared etymology. She discovered the origin of the term in Polish and Russian referred to a person who lived somewhere temporarily, a nomad who moved frequently. When it was first used, nomadic modes of living were the norm, and the term did not carry the same connotations it does today. As Jana says, contemporary understandings of nationhood and belonging don’t consider those who move frequently to be “normal”; it took decades for the word “gypsy” to be changed to “Roma” in Poland in the 1970s, but the pejorative term still persists in common usage. 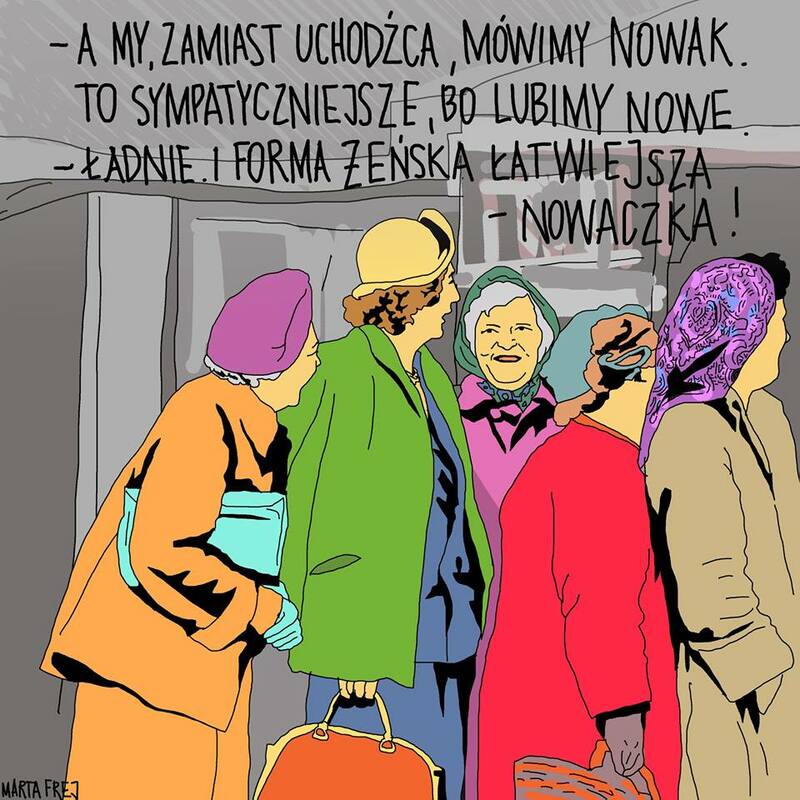 Inviting a group of language experts, esperanto linguists, sociologists, poets, artists and “newcomers” together, Jana set herself the task of finding a more positive word for “refugee” in the Polish language. Her ultimate ambition became to officially register a new term in the Polish dictionary, one that had the potential to move beyond the stigma. 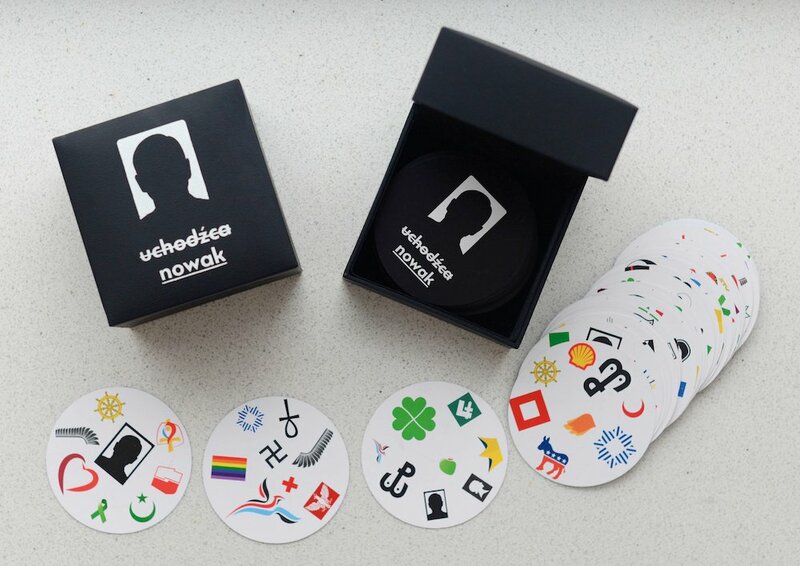 The group collectively decided on the term nowak, which also happens to be the most common Polish surname (the closest equivalent in English is “Newman”). Through the association of the two terms, Jana sought to challenge the perception of refugees as something Other. 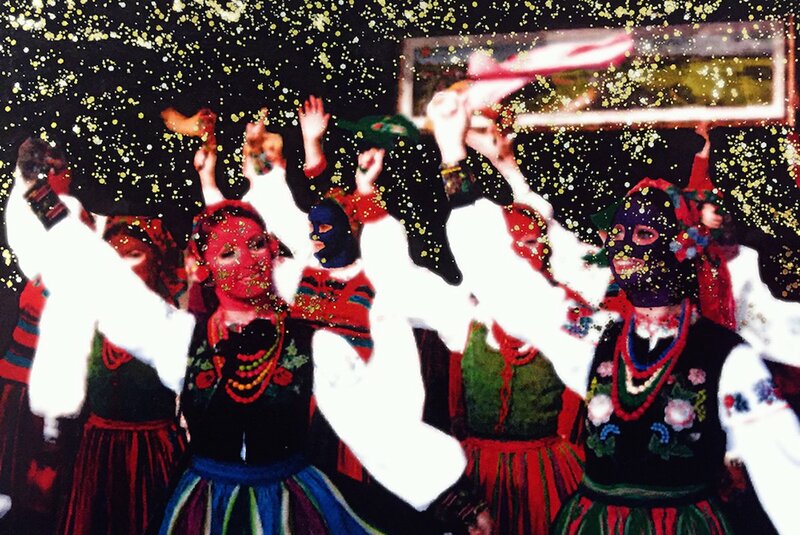 At the same time, the term allows refugees to identify themselves with a common signifier of being Polish. In fact, the original etymology of the name Nowak can be traced back to foreigners who settled in Poland, highlighting the one-time “newcomer” status of a large part of the population. Early in 2017, Jana began spreading the new term nowak across social media channels. She was invited onto national television, as a guest on the show [email protected] Dictionary, where she had the opportunity to talk to the most famous linguist in Poland, Professor Jan Miodek. Impressed by her ambitious undertaking, he gave his support to the project but warned Jana of the difficulties she would face. Following her participation on the show, other media outlets began asking Jana for interviews; in the space of just a few months, the project had been covered by over 20 newspapers and numerous radio programs. In June, on World Refugee Day, she staged an artistic intervention in a shopping mall in Warsaw, taking over 67 TV screens with footage of the project. This symbolic duplication was designed to give a sense of the scale of the problem, demanding the attention of the thousands of typical consumers walking through the store that day. One year on, Jana continues to push forward with her project. The response has often been one of hostility, and she has had to learn to deal with the thousands of comments and messages she receives on social media from trolls and others suspicious of her intentions. But at the same time, there have recently been signs of progress: a few days before we spoke, Jana found a group on Facebook and Instagram called “Poznaj Nowaka” — “Get to Know Newcomers” — created entirely independently of her. Her strategy has changed, and she seeks now to try to distance the project from her authorship to seek a greater reach beyond the field of art. Other artists, including Monika Drożyńska and Marta Frej, have begun to use the term in their works. Beyond the art world, Jana has been in touch with politicians and celebrities to encourage the use of the term in public discourse, hoping in that way to utilise the media spotlight on those individuals to influence the rest of the population anonymously.